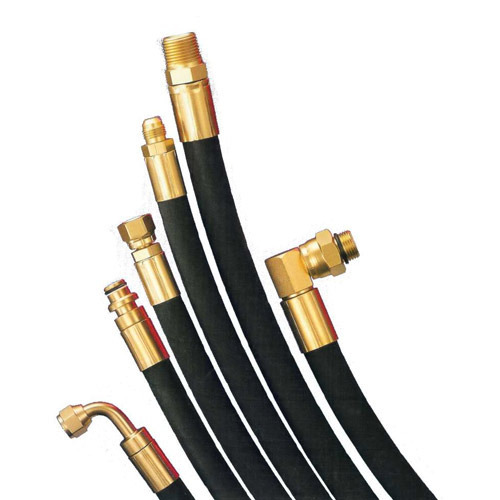 We are instrumental in offering a broad array of Industrial Hose Assemblies to our valued customers. These offered Industrial Hose Assembly are manufactured using superior grade raw material procured from trusted vendors of the market. Addition to this, our expert team these wires according to international quality parameters. We, Shree Tirupati Rubber Products, commenced our journey in 1996 as manufacturer, supplier, wholesaler and wholesale trader of a comprehensive array of rubber and plastic sheets and industrial rubber products. We have garnered immense appreciation for consistently providing products that are characterized by superior quality and value. We endeavor to fulfil our customers’ requirements in the most cost effective manner. Our range of offerings is inclusive of rubber mats, rubber sheets, electrical mats and rubber pipes. We have achieved success as a result of consistent efforts on our part to outperform ourselves. We have a state of the art infrastructure which enables us to carry out our operations smoothly. We have streamlined our processes which ensures that we carry out our operations in the most cost effective manner. We have been committed towards providing utmost satisfaction to our customers.